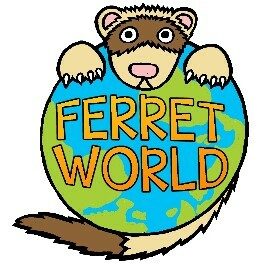 Ferretworld, Ferretworld Roadshow, Eric the Ferret logo, Feast of Ferrets, and Ferretworld Product names are all copyright 2001." The Blackcountrymon" copyright 2012. Welcome to Ferretworld, home of The Ferretworld Ferret Roadshows. Our Ferretworld Roadshows are a Feast of Ferrets suitable for all ages. Due to increased demand we now run 3 Roadshows that are available throughout the year. 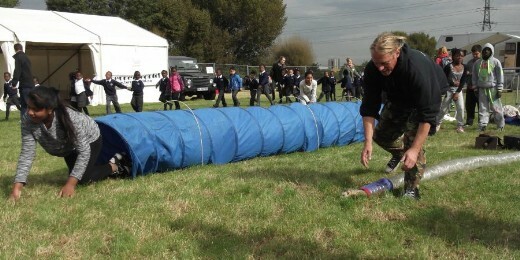 The Roadshows bring a new dimension to your Show, Fete or School where the children form a part of the action, racing the ferrets and learning all about them. Take a look at The Race to see the ferrets in action. Then give us a call or contact Simon "The Black Countrymon". You won't be disappointed. See our Show Dates page to find out when we are near you ! The Ferretworld Roadshow will be appearing at venues around the country so come along, bring the kids and let them "Race the Ferret" ! !